What makes cognitive behavioral therapy (CBT) such a tried-and-true, “go-to” method for professional counselors? Their book, recently published by the American Counseling Association, explores CBT and its many branches, from acceptance and commitment therapy to mindfulness. Both Vernon and Doyle trained and worked with Albert Ellis, the father of what was a groundbreaking method when he introduced it in the 1950s. Ellis is considered the originator of cognitive behavioral therapy, although he used the term rational emotive therapy, and later, rational emotive behavior therapy (REBT). Doyle is director of the Albert Ellis Institute in New York City, and Vernon is president of the institute’s board of trustees. Counseling Today sent Vernon and Doyle some questions, via email, to find out more. Responses are co-written, except where noted. In your opinion, what makes cognitive behavioral therapy a “good fit,” particularly, for professional counselors? CBT is a good fit for professional counselors as it is evidence-based and supported by empirical research. CBT has been shown to be effective for a variety of clinical problems individuals face and work on in counseling, including anxiety, depression, eating disorders, post-traumatic stress disorder (PTSD), obsessive-compulsive and related disorders. Many insurance companies are requiring short-term, evidence-based therapy in order for individuals to be reimbursed. Given the nature of today’s society, with individuals wanting results at a fast pace, CBT affords that opportunity. In the preface, you mention that one of the goals of your book is to dispel myths and misconceptions about CBT. Can you elaborate on that – what are some common misconceptions counselors might have about CBT? 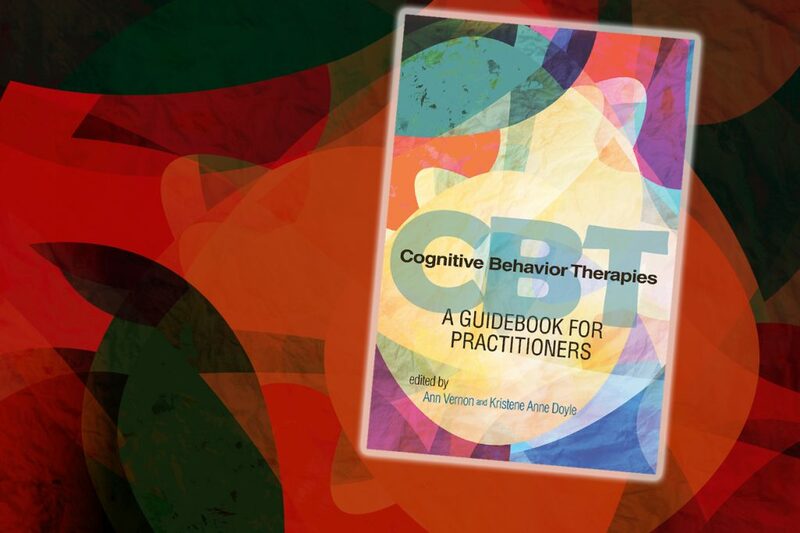 Without a doubt, the major misconception is that there is only one CBT theory, when in reality there are many different theories under the cognitive behavioral “umbrella,” as described in this book. Rational-emotive behavior therapy (REBT) was the first theory, developed by Albert Ellis in 1955 when he revolutionized the profession by being the first to break from psychoanalysis. Shortly thereafter Aaron Beck developed cognitive therapy (CT), known as cognitive behavioral therapy, which adds to the confusion about what CBT actually is! Another myth is that the emphasis is on cognitions with very little focus on feelings. In reality, CBT theories stress that thoughts, feelings and behaviors are interconnected in that feelings and behaviors emanate from beliefs. There is a major focus on helping clients see how their thoughts impact their feelings and helping them change their thoughts in order to develop more healthy and adaptive behaviors as opposed to unhealthy, negative emotions. Yet another myth, which relates more to REBT in particular, is that there is very little importance placed on the relationship. This myth can be traced back to Albert Ellis, who did not place as much importance on the relationship as current REBT practitioners do, in part because he did not believe that a good client-therapist relationship was sufficient [on its own] to bring about change. REBT practitioners still believe this, however, Ellis’ style was often more abrasive and confrontational. Current REBT practitioners are less confrontational, more empathic and believe strongly in the importance of a good therapeutic alliance – which they consider an integral part of this theory. What inspired you to collaborate and create this book? What new aspects of CBT did you hope to highlight? We were inspired to create this book because upon review of available counseling-related materials, a book solely dedicated to the different CBT approaches [written] specifically for counselors was lacking. We saw a need for a solid understanding of how similar and different the CBT approaches are, as well as how they are applied in the counseling setting. To demonstrate the unique aspects and nuances of each of the CBT approaches, we had the authors submit a transcript of a session that brought to life the theory that was addressed in the chapter. In addition, in Chapter 9, we had all the authors address the same client, highlighting how their particular approach would be utilized in counseling. It was our intention to provide readers a crystallized perspective of each of the various CBT approaches. Finally, each chapter includes sidebars to allow readers to apply what they learned in the chapter. 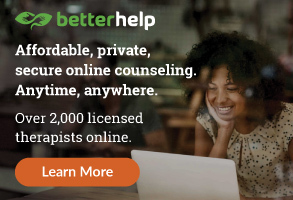 Do you feel that CBT is growing in popularity, or remaining steady as a “go to” method for counselors? CBT, in our opinion, is growing in popularity amongst counselors. 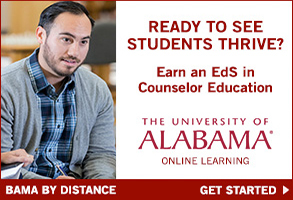 At The Albert Ellis Institute, we have noticed a trend in our professional continuing education courses of mostly counselors attending with the desire of learning specific theory and applications. 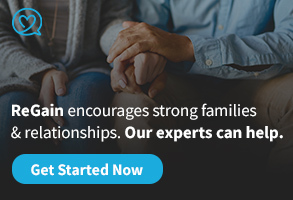 Given that counselors are often on the “front lines” of treatment, they are realizing CBT is not simply a series of techniques that can be applied to various problems, but rather a generic term that encompasses a variety of different approaches that all have a common theoretical foundation. 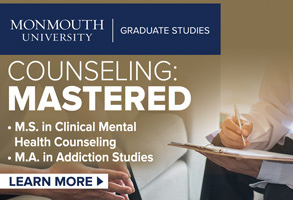 As more and more counselors acquire specialized training in CBT, the conclusion is that it will continue to grow in popularity with graduate programs requiring their students to be exposed to the theory and application. What suggestions would you have for a practitioner who has been using CBT with clients for decades? What should they keep in mind? Counseling practitioners who have used CBT for decades must be convinced that CBT theories are empowering because while clients may not be able to change certain life circumstances, they can change the way they think and feel about them, which is the essence of CBT. They should continue to read about and employ new techniques and practices to enhance their work with clients. They should keep in mind that under the CBT umbrella there are slightly different approaches to helping clients change. This is especially true for the “third wave” of CBT theories — acceptance and commitment therapy (ACT), dialectical behavioral therapy (DBT) and mindfulness. Experienced practitioners may want to explore these theories and utilize them with clients who might be a good fit for a particular approach, thus expanding their CBT toolbox. What suggestions would you have for a practitioner who is just starting out and is interested in using CBT with clients? What should they keep in mind? New practitioners who are just beginning and are interested in CBT should, of course, familiarize themselves with the particular CBT theory they are most interested in learning about and practicing, understanding that CBT is the “treatment of choice” for many disorders and has wide applicability cross-culturally, as well as with children and adolescents, couples and families. In addition, practitioners in private practice or mental health settings should be aware that managed care companies are huge CBT fans because it is generally a shorter-term therapy and the focus is on goal achievement and concrete markers for change and accountability. Another factor that both seasoned and practitioners new to CBT should consider is that while CBT is generally individualistic, practitioners need to also see clients in the context of their environment and their culture. The goal of CBT is to help clients function in their world more effectively, which may often result in social advocacy. CBT practitioners can work with clients to reduce the intensity of their negative emotions that may prevent them from being appropriately assertive in confronting injustices. This last statement actually reflects another myth about CBT, which is that CBT therapists only focus on changing the way clients think about their circumstances, which can imply passive acceptance of the status quo. In fact, from a CBT perspective, a counselor working with an abused woman would work with her to challenge the belief that she isn’t worthy and therefore deserves the abusive treatment – and then help empower her, so she is able to effectively confront a pervasive problem that affects far too many women. What draws you, personally, to CBT? What do you like about the method? What led you to specialize in it – and also become involved with the Albert Ellis Institute? I (Ann Vernon) began my counseling career as an elementary school counselor who was trained in client-centered therapy. I rather quickly became disillusioned with this approach when working with young clients, because despite the fact that I listened well and the clients seemed to feel better, they really didn’t get better. So when I heard Albert Ellis speak at an ACA conference in New York [in the 1970s] and read about the training at his institute, I decided to pursue [it]. During the primary practicum I was so excited to hear Virginia Waters talk about how REBT could be adapted for children, and after her lecture I asked if she would provide feedback on a social-emotional education program I had written but wanted to adapt in order to incorporate REBT principles. With her helpful feedback, I wrote Help Yourself to a Healthier You, followed by Thinking, Feeling, and Behaving and the Passport Program. So that really started my love affair with this theory because it was educative and skill-oriented and comprehensive – addressing feeling, thinking and behaving. I was also drawn to this method because of the emphasis on problem prevention, which was something that I readily endorsed as a school counselor. After becoming a mental health counselor working with adults as well as with young clients, I continued to find that REBT was the best “fit” for me as well as my clients. I have been so fortunate to be a part of the Albert Ellis Institute for so many years, first as a trainee, then as a board member and now president of the Albert Ellis Institute [Board of Trustees]. It has been extremely rewarding to do training in various parts of the world and to see firsthand how influential this theory is and how it has had an incredibly positive impact on so many people, including myself! I (Kristene Doyle) was drawn to CBT when I learned about it in undergraduate psychology classes at McGill University. The theory made sense, and I appreciated the evidence-based nature of it. When I entered my doctoral program, it had a heavy emphasis on CBT orientation. 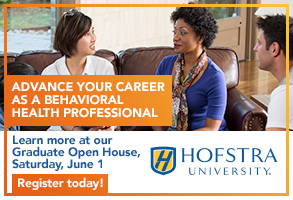 There was a close relationship between Hofstra University and The Albert Ellis Institute (AEI), and AEI was one of the internship sites available for fourth-year students. Having the honor of the founder of CBT, Albert Ellis, be my mentor and train me has contributed to my passion of practicing a theory that has empirical support. I began my career at AEI as a doctoral student and have worked in various capacities for the past 20 years, and now serve as its director. I laugh at the letter of recommendation Dr. Ellis wrote for me when I was preparing for job applications upon graduation. Little did I know I would end up as the director [of his institute]! Furthermore, I believe in and carry out the mission of AEI, which is to promote emotional and behavioral health through research, practice, and training of mental health professionals in the use of REBT and CBT. Where can i buy that book?